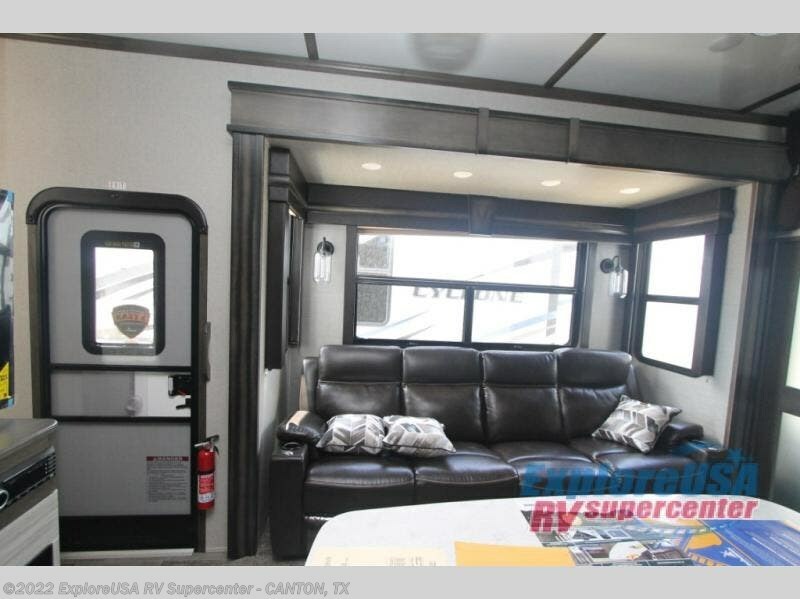 The perfect combination of adventure and at-home comforts have been combined to create an awesome home/garage on wheels! 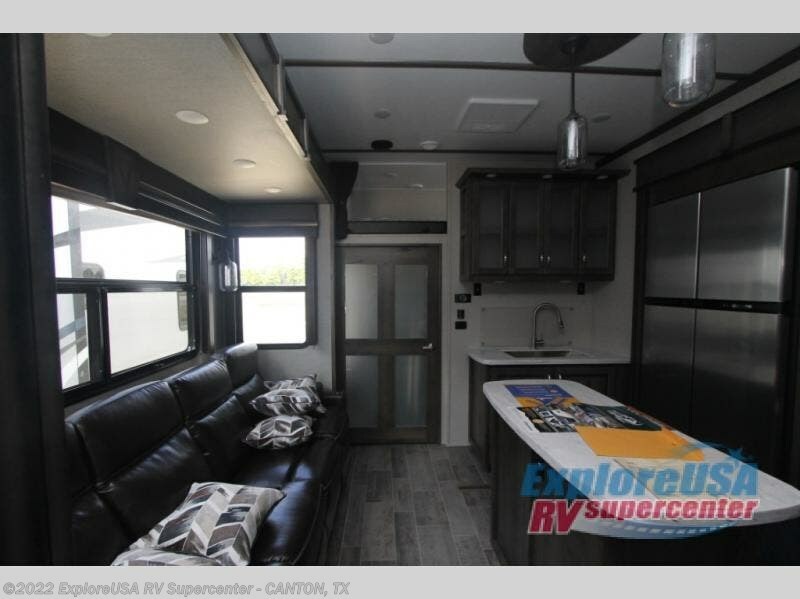 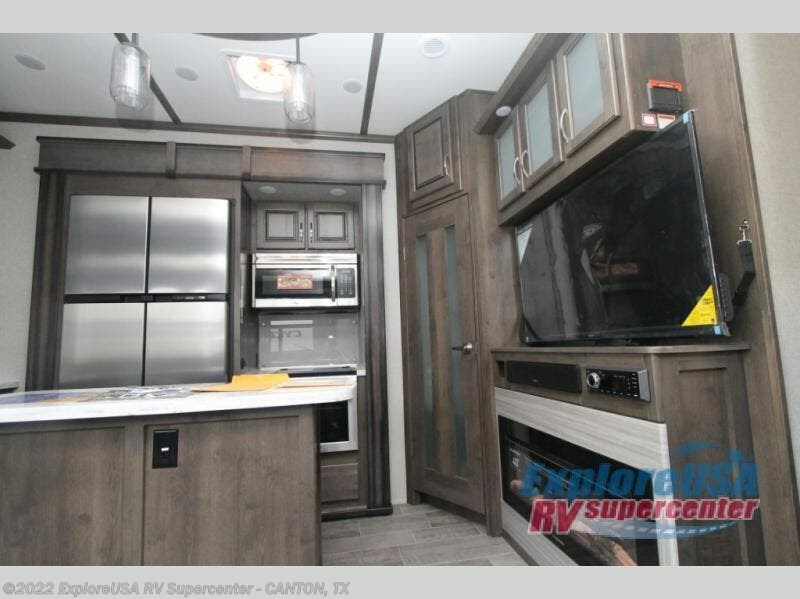 Voltage toy hauler model V3655 features a gourmet kitchen including an 18 cu. 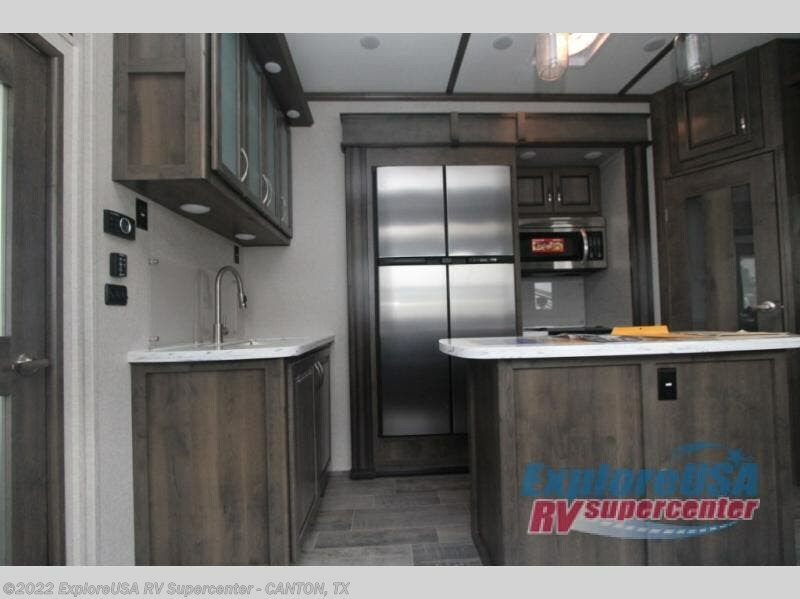 ft. refrigerator, a large island for food prep and serving, plus double slides for plenty of room in the main living/kitchen area alone. 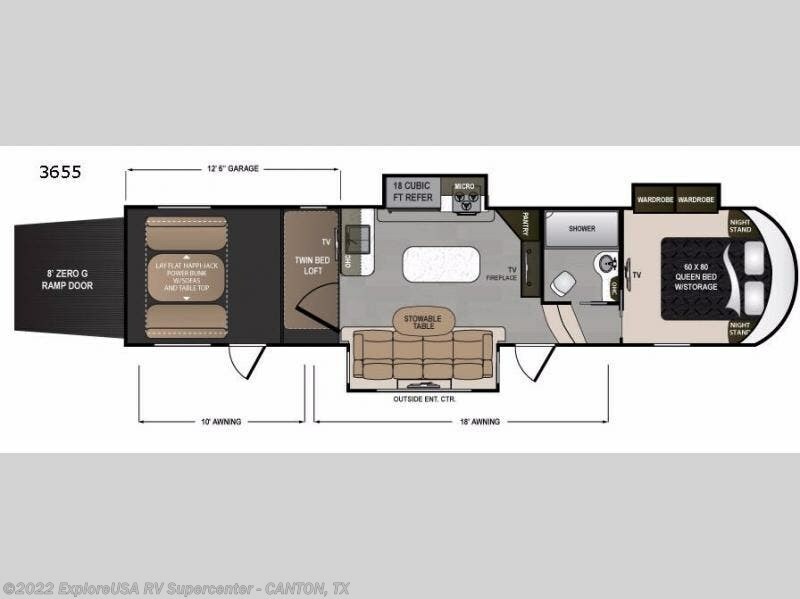 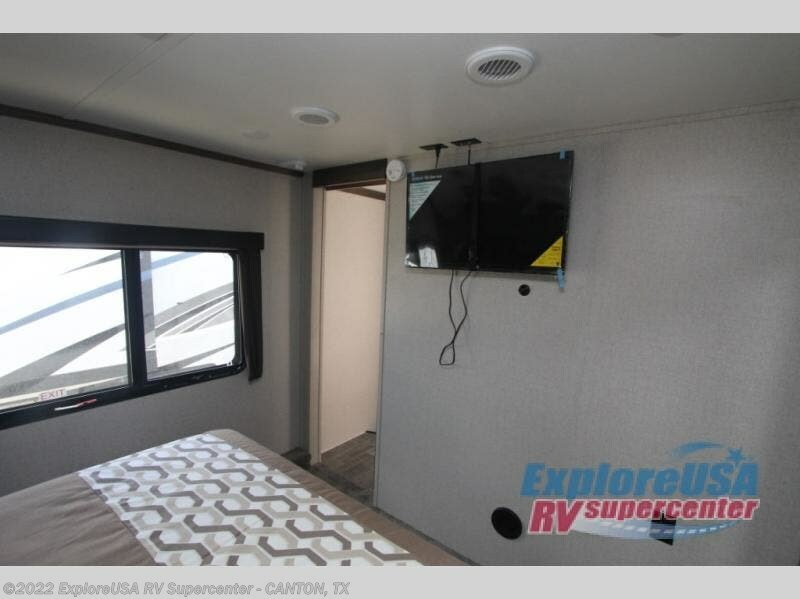 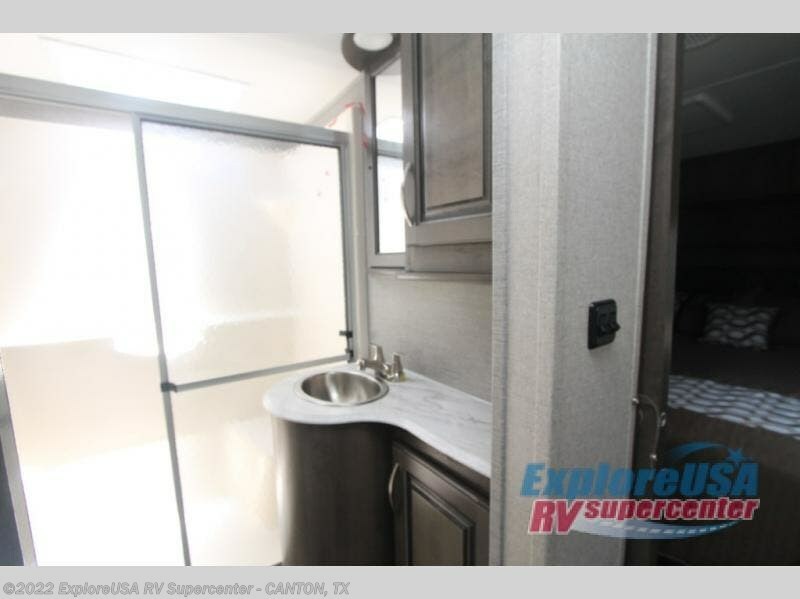 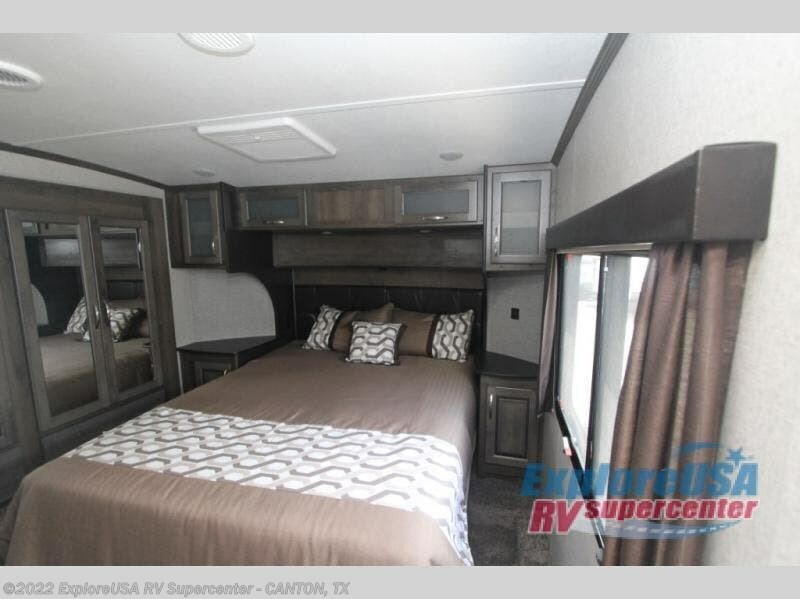 Up front you have a private bedroom and complete bath, and the garage area easily accommodates five more adventure seeking individuals that like a bit of pampering when they come in from the outdoors. 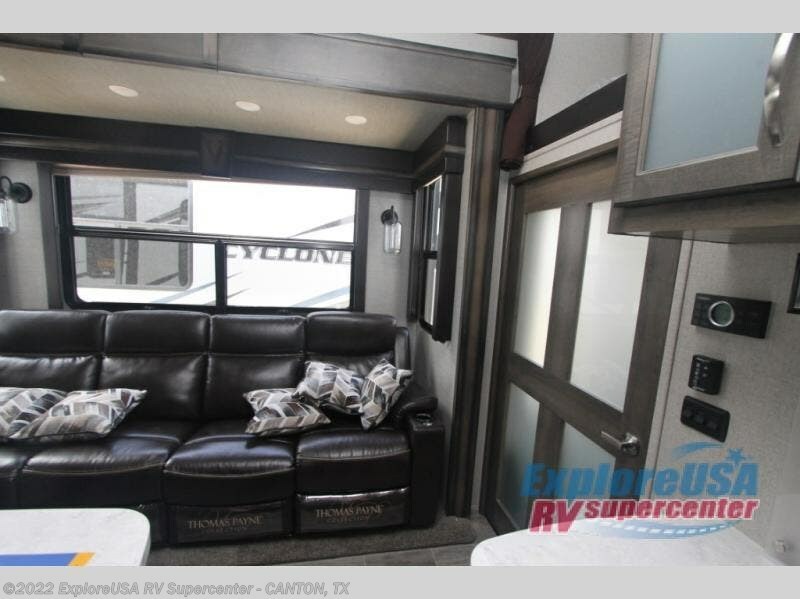 The lay-flat Happi-Jack power bunk with dual sofas and loft offer ample sleeping, plus a place for the gang to hang out when they aren't out tearing up the trails. 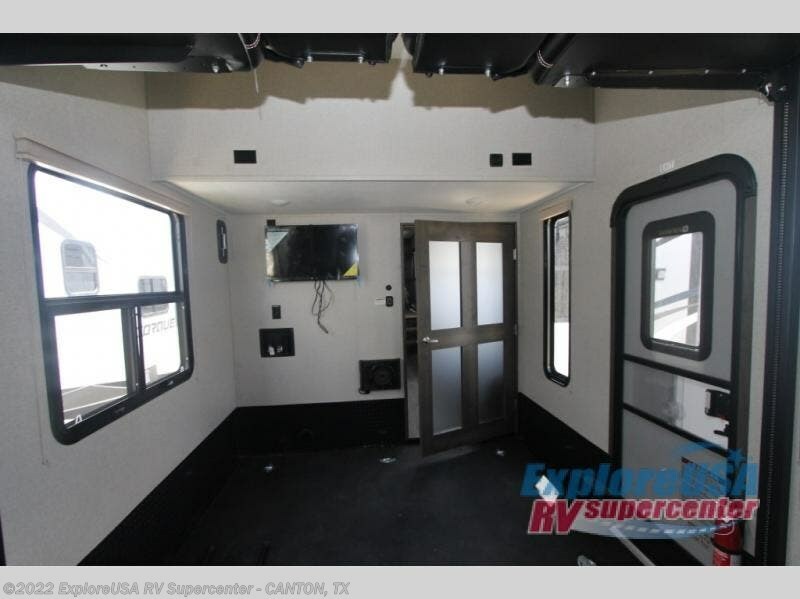 The 12' 6" garage space offers 2,500 lb. 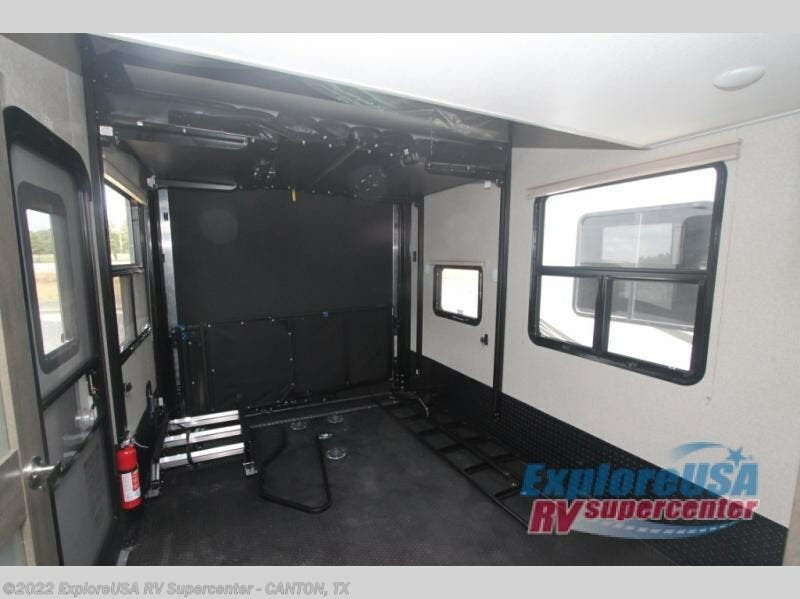 tie downs to keep your load secure while you travel, 12" of rock guard protection on the garage wall, and a side entry door besides the 8' zero gravity rear ramp door that allows for quick and easy loading, plus access to all of your cargo. 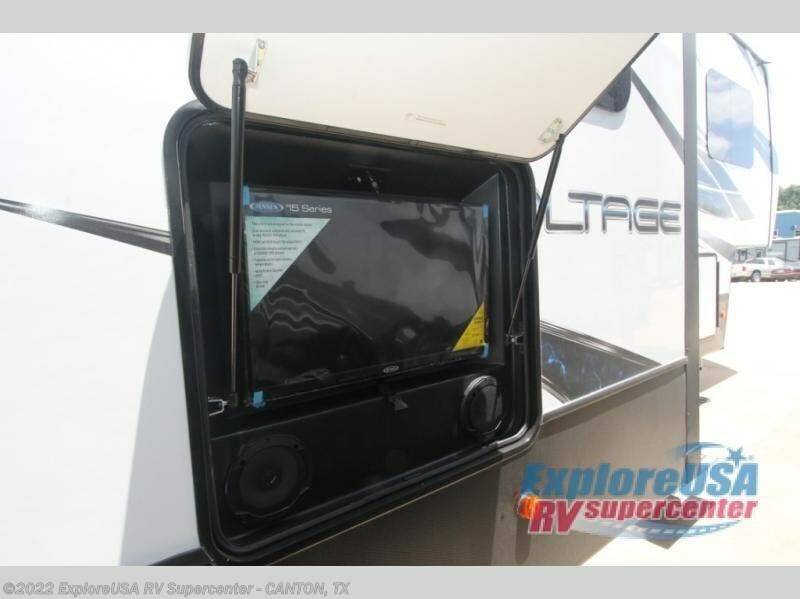 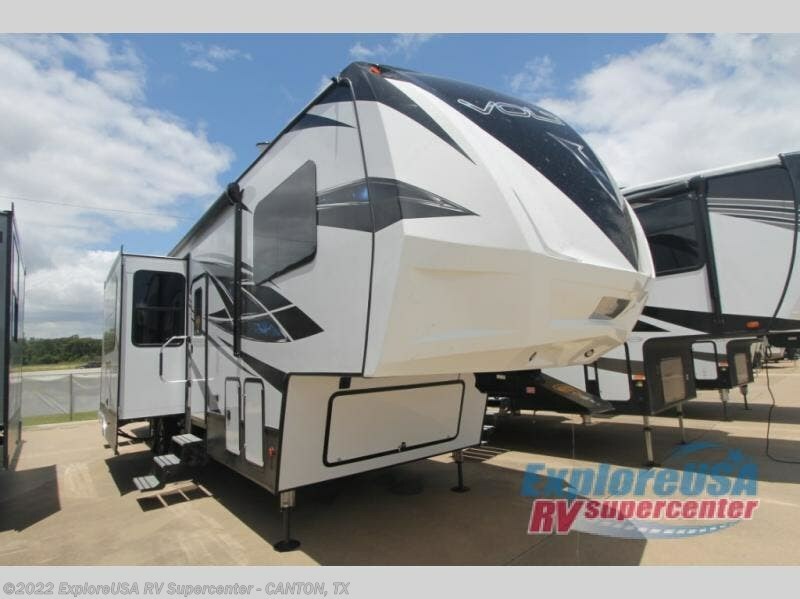 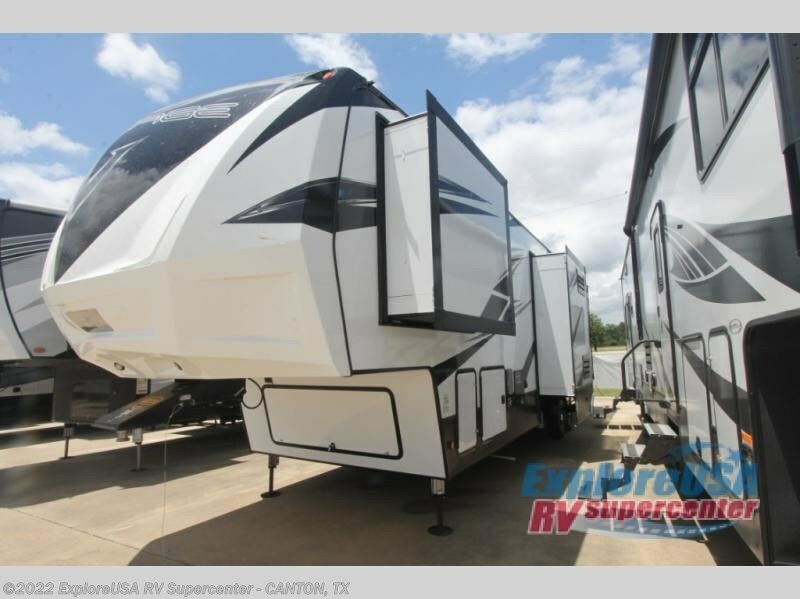 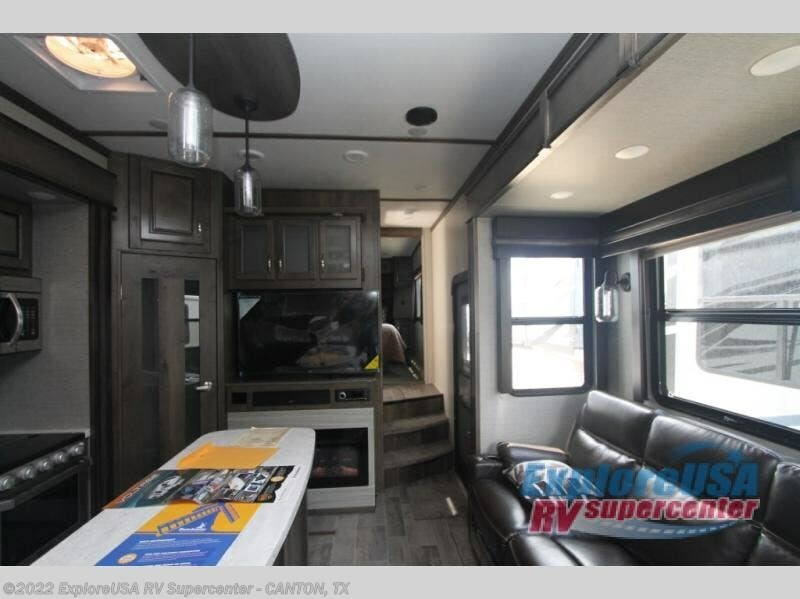 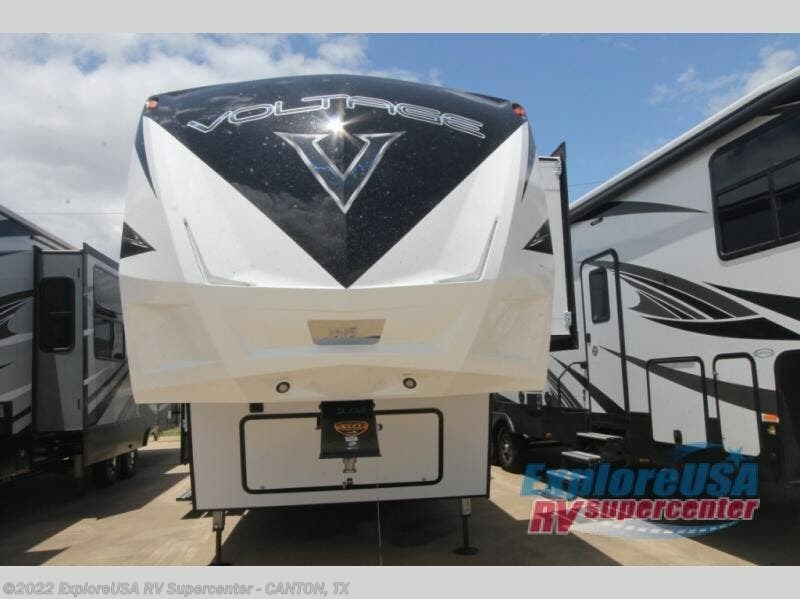 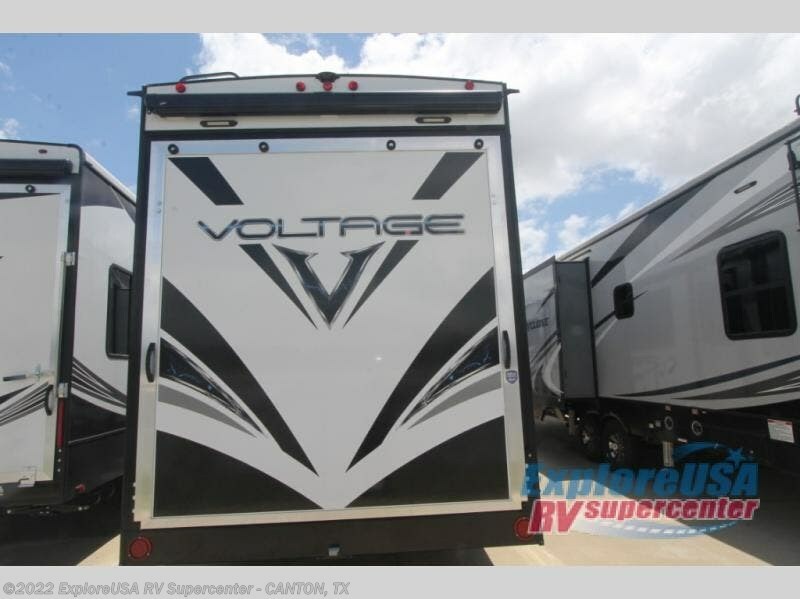 Check out Stock # W2291 - 2019 Dutchmen Voltage V3655 on dutchmenrvs.com!